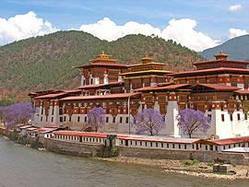 Destinations of Luxury Bhutan Tour : Thimpu, Gangtey, Punakha and Paro. We are today one of India?s premier destination management companies. It all started eighteen years ago, with the need to create, a travel service with a difference. A travel agency which would provide complete Travel Solutions to its clients. An agency which would do more than just take clients form Point-A to Point-B. An agency that could provide luxury whilst still being competitively priced.